Benson sawed off 23 of a stick. What is the ratio of the unsawed portion of the stick to the sawed portion of the stick? What percentage of the figure is unshaded? The number of apples is 12 the number of oranges. The number of mangoes is four times that of apples. What is the ratio of the number of oranges to the total number of fruits? 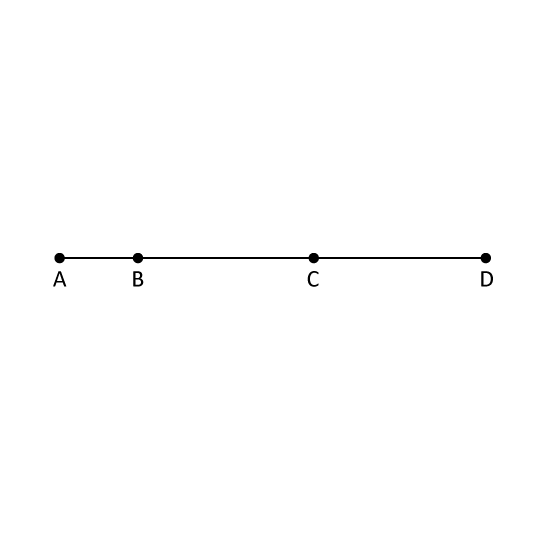 On the line not drawn to scale, the length of AB is 12 the length of BC and BC has the same length as CD. What is the ratio of the length of AD to the length of AB? A bag contains blue and green marbles in the ratio of 2 : 5. There is a total of 91 marbles in the bag. How many more blue marbles must be added into the bag so that the number of blue marbles will be the same as the number of green marbles? Natalie has 3 times as many buttons as Xuan. Xuan has 23as many buttons as Fiona. If the three of them have a total of 110 buttons, how many buttons does Natalie have? The ratio of the number of banana muffins to strawberry tarts is 3 : 5. The ratio of the number of kaya cookies to the total number of banana and strawberry tarts is 5 : 1. What fraction of the tarts are strawberry tarts? At a zoo, 14 of the visitors were men. The remaining visitors were women and children in the ratio of 1:3. If there were 150 more children than men. How many visitors were there at the zoo? The number of apples is 23 the number of kiwis. The number of mangoes is four times that of apples. What is the ratio of the number of kiwis to the total number of fruits? 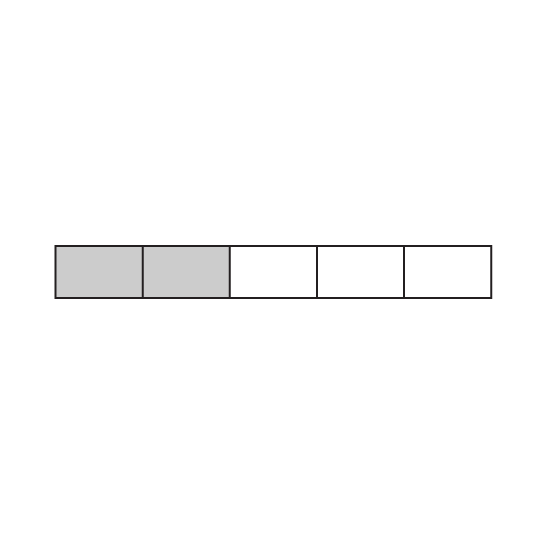 The figure consists of 2 squares X and Y overlapping each other. The ratio of the area of Square X to the area of Square Y is 3 : 8. 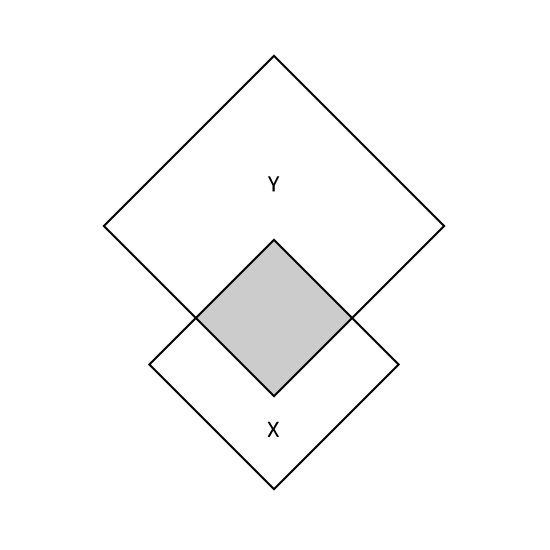 Given that 14 of Y is shaded, what is the ratio of the shaded part to the area of the figure?